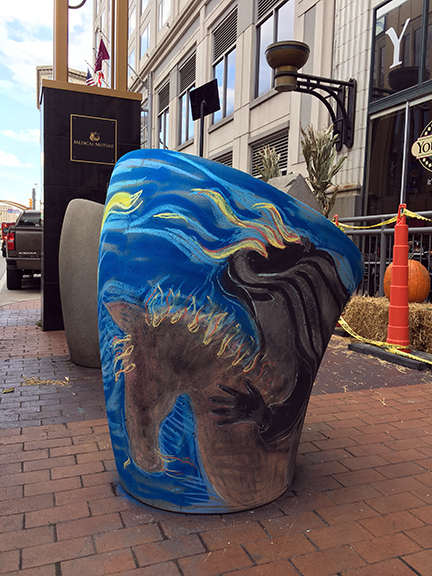 Playhouse Square's annual Halloween pub crawl needed a spark to raise awareness, generate excitement, and lead people to the party. We were commissioned to create 20 chalk murals for the day of the event. We proposed 2 preliminary murals for marketing support and 18 additional murals at strategic locations within Playhouse Scare's pub crawl perimeter. Working with a team of Cleveland artists, we created a range of murals to excite, inspire, and provoke engagement. Sadly, four of our designs were too successful. 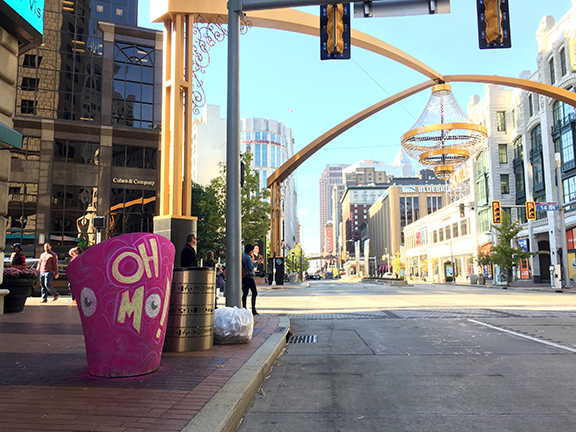 Cleveland's Police, the Downtown Akron Partnership, and Playhouse Square all received calls demanding the immediate removal of the Minion, Donald Trump, Kim Jong-Frankenstein, and Kim Jon-Vampire chalk murals. We complied, and though we regret the trouble this caused, the experience was pretty hysterical.